So the World Cup is in full swing and England seems to be faring quite well. Tomorrow we play Sweden in the quarter-finals so fingers crossed. Let’s see how far we get. Maybe football really is coming home? 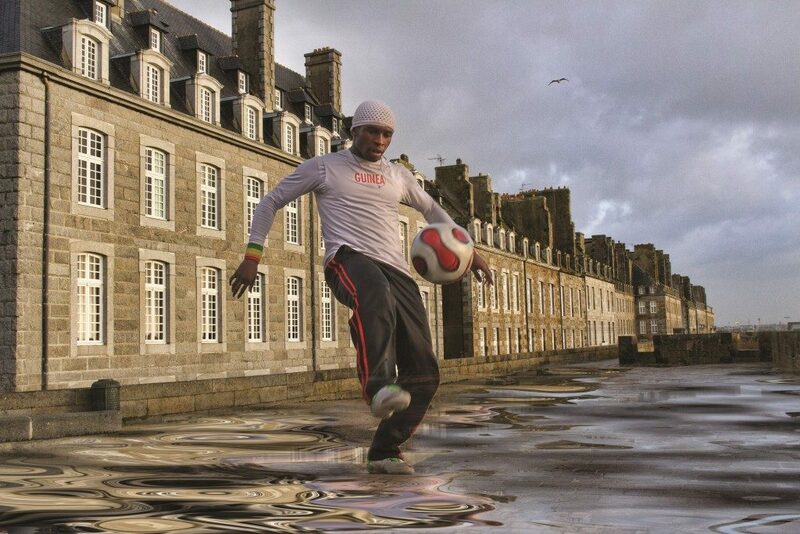 A fitting image for today’s Pic of the Week is called ‘The Footballer’ and was taken in St Malo in France by Sheila Haycox. It features in our Streetscapes exhibition. To find out when and where you can see Streetscapes, please see our Exhibitions page.